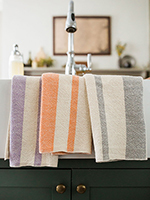 Heirloom quality household textiles handwoven from natural fibers in modern minimalist designs. Products include tea towels, napkins, pillows, spa towels, and blankets. 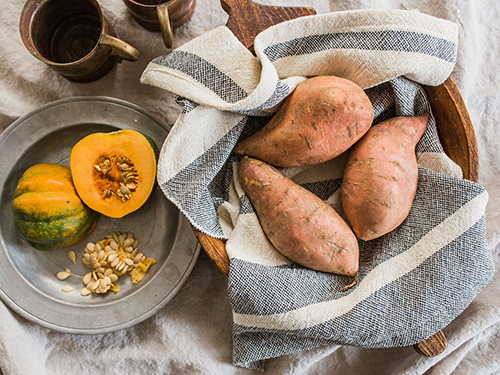 A decidedly modern asymmetrical design, our Everyday Tea Towels are heirloom quality and designed to stand up to everyday use. They are the perfect hostess or housewarming gift, and are a wonderful addition to a gift basket. Handwoven from super absorbent 100% unmercerized cotton, which is grown, spun, and dyed right here in the US! Preshrunk. Machine wash, tumble dry. Generously sized at 18 x 26”, perfect as a kitchen or hand towel. Includes a twill tape loop for easy hanging. Available in 17 colors. 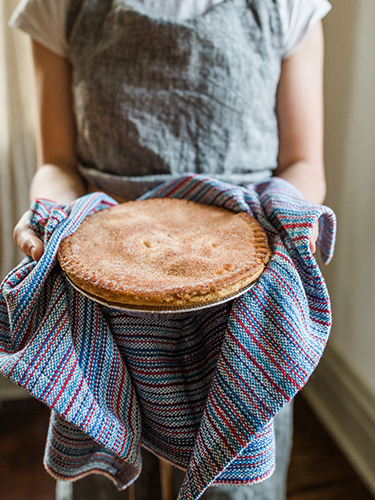 Handwoven + handmade in Massachusetts. Inspired by antique feedsack stripe and ticking fabrics, for a minimalist look with a vintage touch. 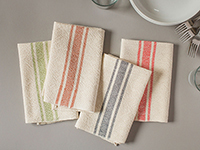 Our napkins are heirloom quality and are designed to stand up to everyday use. They are the perfect hostess or housewarming gift, and are a wonderful addition to a gift basket. Preshrunk. Machine wash, tumble dry. Sized at 17 x 17" and sold in sets of 2 and 4. Created in five distinct designs, perfect for mixing and matching! Made with incredibly soft 100% cotton, which is grown, spun, and dyed here in the US. 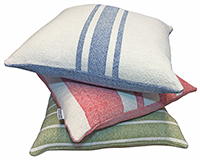 Each pillow measures 20 x 20” and is sewn with a hidden YKK zipper, which allows for easy removal of the insert. The pillow insert has a 100% cotton cover that is filled with duck feather down, allowing for the signature down karate chop. Preshrunk. Remove insert, then machine wash, tumble dry. Handwoven + handmade in Massachusetts. Woven in a seemingly random pattern, the Modern Stripe Tea Towels are bright and fun! Handwoven using super absorbent 100% cotton (grown, spun, and dyed in the US!) that wicks away moisture and is quick drying. Generously sized at 18 x 26”, perfect as a kitchen or hand towel. Includes a twill tape loop for easy hanging. Available in 12 designs. Handwoven, preshrunk, and hemmed. Machine wash, tumble dry. 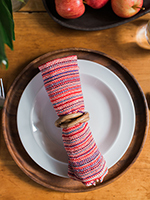 Woven in a seemingly random pattern, the Modern Stripe Napkins are bright and fun! Sized at 17 x 17”. Available in 12 designs. Handwoven, preshrunk, and hemmed. Machine wash, tumble dry. Sold in sets of 2 and 4.